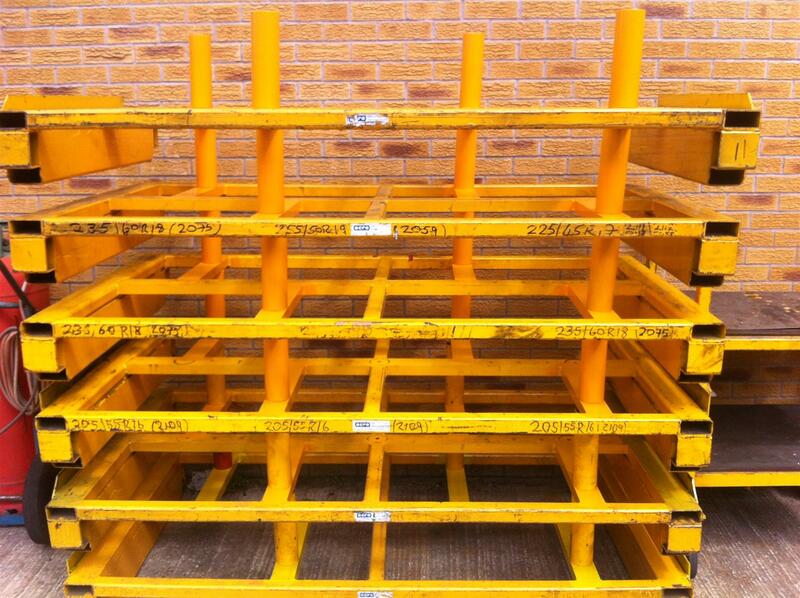 Modify existing drum pallet to locate 4 off tyre drums instead of 3 off by adding extra supports to the pallet. Drawing number AD-155-2013-05. Collect pallet from Pirelli Tyres Burton on Trent. Add new 76mm x 38mm channel support members to the pallet by welding in place. Bolt in place locating tubes. Repaint areas that have been modified.